The Model #42 Combination Wrench by Beta Tools is designed with an open end and offset box end. This combination wrench is available in a range of metric sizes. 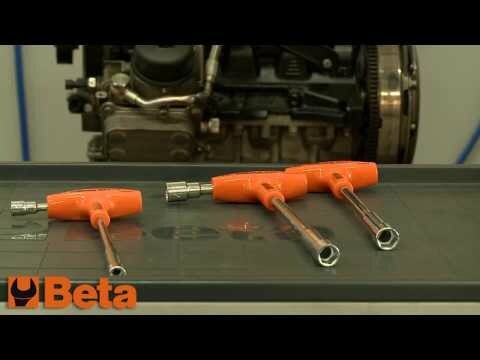 The Model #941 T-Handle Hex/Bi Hex Socket Wrench by Beta Tools is designed with 2 sockets— a hexagon socket on the long handle and a bi hex socket on the short handle. Available in a range of sizes.